Rose in pot. Happy Valentines Day card. 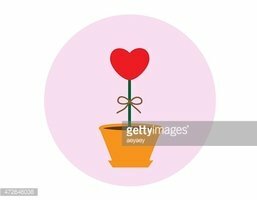 Pot with hearts. Happy Valentines Day card.